The beginning of February marks the start of one of the best seasons in New Hampshire: maple sugaring season. New Hampshire alone makes about 90,000 gallons of maple syrup each year. To put that in perspective, approximately 40 gallons of sap is required to make one gallon of finished syrup. If you’ve never tasted New Hampshire maple syrup, you are truly missing out. There is nothing better than local, fresh maple syrup poured over your hot stack of pancakes. Now with temperatures about to warm up and the sap in the maple trees about to thaw, the Monadnock Region sugar houses will be begin to offer tours and exhibits on how the maple syrup is made. So, now is the perfect time to book a trip to the Monadnock Region to visit during the sugaring season that only lasts about six weeks from the beginning of March to mid-April. For more than 25 years, the husband and wife team, John and Karen, have been producing everything maple. What once started as a hobby has now grown into a full-time business where they are involved in every step of the process to create their final product. 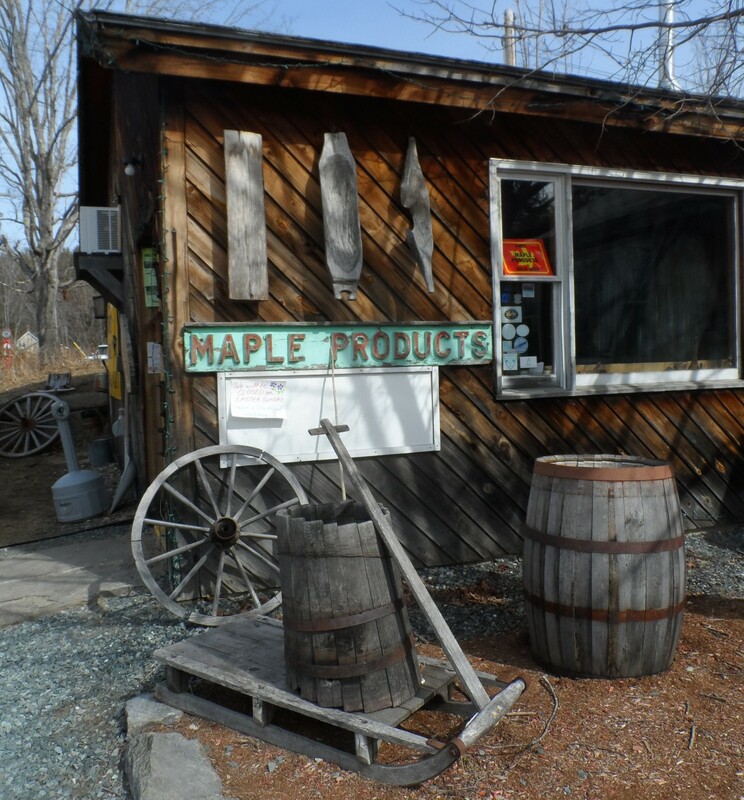 Check out their beautiful venue and their gift shop to stock up on goodies until the next maple sugaring season in the Monadnock Region. Not only do they sell their fresh maple syrup but also other delectable maple goodies like maple granola, maple cotton candy and many more. Producing maple syrup at Parker’s Maple Barn has been a family tradition for the past three decades. They also offer an on-sight restaurant but say that during the maple sugaring season in the Monadnock Region, there can be a wait to get a table. They’ve got you covered, though. While you wait, you can visit the sugar house for tours of the operation to help pass the time or visit their Corn Crib gift shop where all of their maple products are available for purchase. Stuart Adams and John Matthews decided in 1974 that they wanted to start their own business in the maple sugaring industry. With Stuart in the eighth grade and John in the tenth grade, the business started on the smaller side but has skyrocketed since then. Stuart & John’s Sugar House is open all year round and, on February 7, their restaurant is open for breakfast and lunch every weekend from 7 a.m. and closing at 3 p.m. until May. Ben Fisk’s passion for making maple syrup started when he was about five-years-old. About ten years later, at fifteen-years-old, Ben won the Maple Producers Carlisle Trophy for the best syrup in New Hampshire. Currently, at age 24, Ben owns two sugar shacks in New Hampshire with many different maple products and is still continually expanding his growing business. His Temple location is open everyday, year-round, from 7 a.m. to 6p.m. and will begin giving demonstrations from 10 a.m. to 4 p.m. every weekend starting February 7 and going all the way until the second weekend in April. Ben also offers a blog and videos on his page to give you more of an insight on his line of work. The Monadnock Maple and Mud package is offered in partnership with Ben’s Sugar Shack. The package begins in mid-February and is a great deal for those looking to vacation during maple sugaring season in the Monadnock Region. The day begins with the exploration of the area’s sugar houses, farms and chocolate shops. Afterward, you will be able to dine at your choice of one of Peterborough’s award-winning restaurants. The night ends with a relaxing night stay at the Jack Daniels Motor Inn. The package also includes a maple syrup sample from Ben’s Sugar Shack and a chocolate sampler from Ava Marie Handmade Chocolates. Click here to learn more about the Monadnock Maple and Mud package. Click here to find all of the links to the above sugar houses for more information on the maple sugaring season in the Monadnock Region. All of these sugar houses also offer online ordering of their quality maple syrups in various sizes, and other goodies that they may produce, on their websites and will ship anywhere you please.